Renishaw: AUstralia and New Zealand. 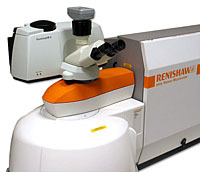 Raman Spectroscopy and Research Grade Spectrometers. inVia and Upgrade Options, Lasers. Raman AFM, SEM, FTIR. Renishaw is a global company with core skills in measurement, motion control, spectroscopy and precision machining. They develop innovative products that significantly advance customers' operational performance — from improving manufacturing efficiencies and raising product quality, to maximising research capabilities and improving the efficacy of medical procedures. Products are used for applications as diverse as machine tool automation, co-ordinate measurement, additive manufacturing, gauging, Raman spectroscopy, machine calibration, position feedback, CAD/CAM dentistry, shape memory alloys, large scale surveying, stereotactic neurosurgery, and medical diagnostics. The Renishaw inVia Raman spectrometer is globally recognised as the industry leader for ease-of-use, sensitivity, function and flexibility. Raman spectroscopy reveals the vibrations of molecules and crystals. With this information you can identify substances, and also determine other valuable details, such as the level of stress in crystals or semiconductors, the quality and the quantitative depth of a coating or film. 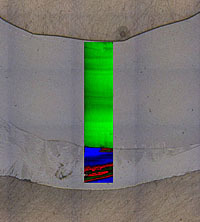 StreamLine Raman image of a mollusc shell. This image has been modified for this website. Please contact Warsash Scientific to view original StreamLine images. 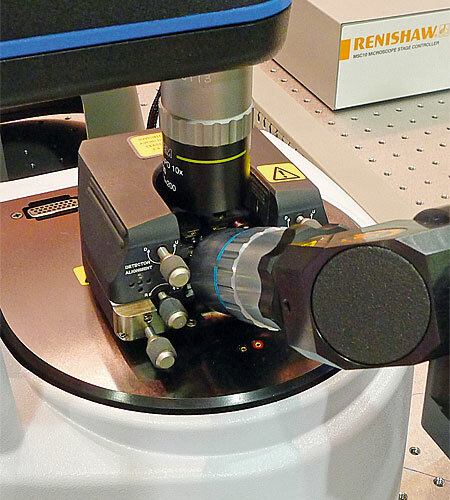 The Renishaw inVia Raman microscope is Australia's premier Raman spectrometer for research and industry, comprising a research-grade optical microscope coupled to a high-performance Raman spectrometer. Researchers tackling the most challenging analytical problems rely on the proven high performance, versatility, and flexibility of inVia microscopes. One single instrument delivers both highly-specific discrete analyses, and information-rich chemical images across the broadest range of material types. It is rapid, non-destructive, and does not require invasive chemical labels. It is intuitive and easy to use, ideal for spectroscopists and non-spectroscopists alike. Raman spectroscopy reveals the vibrations of molecules and crystals. With this information you can identify substances, and also determine other valuable details, such as the level of stress in crystals or semiconductors, the quality and the quantitative depth of a coating or film. The inVia "Reflex" system offered features full automation for ease of use in a multi-user environment, including motorised beam steering mirrors and pinholes for autonomous self-alignment and maintenance, slits for auto-confocal mode operation and spectrometer optics for multiple excitation wavelengths. instrument validation, password protects, file logs, and instrument and enclosure locks suitable for forensic science and pharmaceutical security purposes and standard operating procedures. 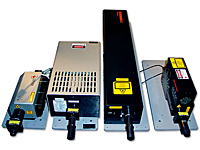 The system is available with Class 1 laser safe enclosures and is fully enclosed laser paths for multiple lasers and full interlocked with interlock self-test features. Renishaw is an ISO 9001:2008 quality certified company. Rather than viewing discrete spectra, you can create information-rich maps and images that fully illustrate your most complex samples. XYZ stage (100nm step) and ergonomic trackball, you can make manual measurements of points on your sample, across a large 112mm × 76mm travel range. 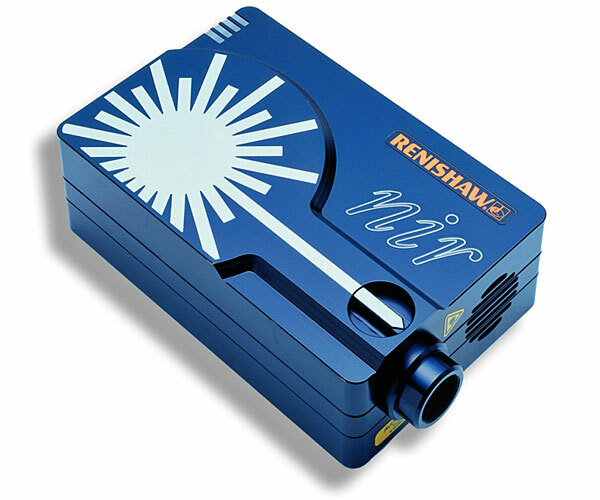 However, the true power of Renishaw's inVia Raman microscope and its Windows-based Raman Environment (WiRE) software is revealed when you use its automated mapping and imaging capabilities. Rather than viewing discrete spectra, you can create information-rich maps and images that fully illustrate your most complex samples. StreamLine Plus is inVia's ultra-fast imaging technique and is the spatial equivalent of Renishaw's patented SynchroScan method for continuous extended scanning. You can view an image of the sample and define on it the region to analyse as a series of points, a line, or a rectangle. The region is superimposed on the white light image, with the sampling points indicated by a grid. Using Renishaw's high speed encoded stage, you can build a white light montage of any area within the range of the XYZ to image, not limited by the field of view of the objective. StreamLine produces a seamless rapid data stream and Raman images of incredible detail, with full spectral content for every point. 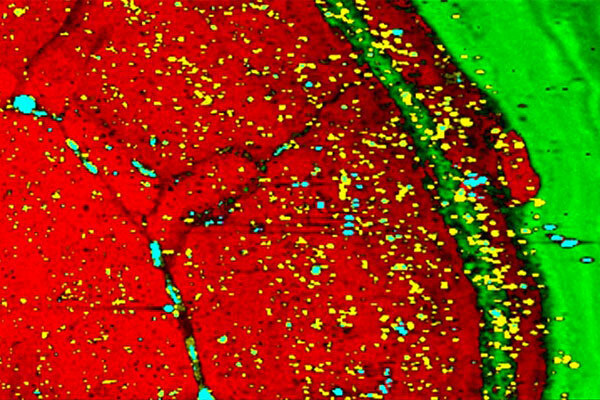 StreamLine Plus' high resolution (StreamLine HR) option rapidly generates Raman maps with pixel sizes down to as low as 250nm. This enables you to apply the analytical power of Raman spectroscopy to many challenging nanotechnology structures. The efficiency and stability at the core of the inVia Raman microscope, and the inherent flexibility it offers by design, makes it the perfect platform for integration. systems to the research and academic communities. Raman spectroscopy provides the perfect complement for AFM measurements as it provides detailed chemical information about the sample, something that is missing from the array of imaging modes of AFMs. The efficiency and stability at the core of the inVia Raman microscope, and the inherent flexibility it offers by design, makes it the perfect platform for integration. This allows researchers to use their preferred AFM of choice to probe nanostructures to extract vital material components, and to perform tip-enhanced Raman spectroscopy (TERS) with spatial resolutions approaching 10nm. 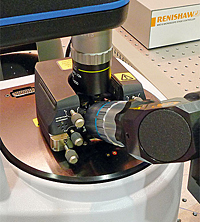 The Renishaw inVia Raman spectrometer integrates to a wide range of commercial AFM manufacturers including Park, Bruker, Nanonics, NT-MDT and JPK. The SEM-SCA system is a unique combination of two mature technologies that results in a techniques toolset that redefines convenience, efficiency, and productivity. enables scanning electron microscopists to benefit from the chemical, structural, and electronic information available from optical spectroscopies, whilst observing the sample using the scanning electron microscope or analysing it using energy dispersive spectroscopy (EDS). 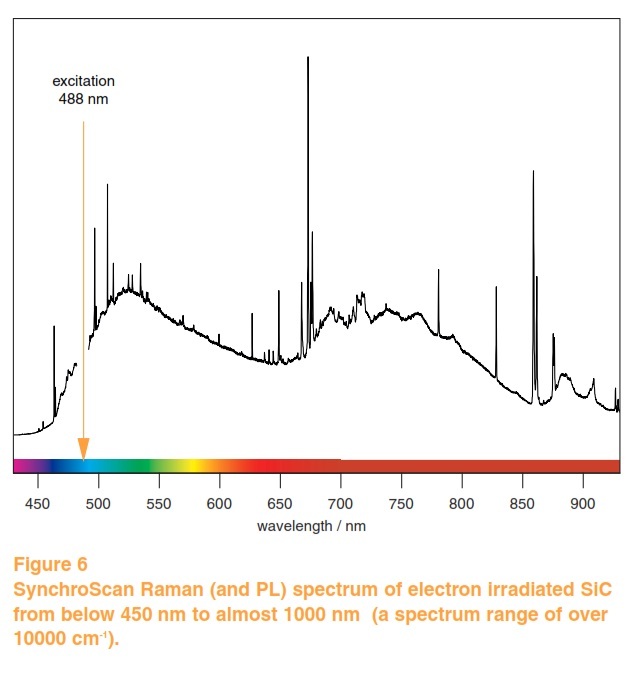 The SCA can be connected to any of Renishaw's inVia Raman and PL spectrometers, and supports single or multiple techniques. Comprehensive in-situ sample characterisation is possible using a single instrument. 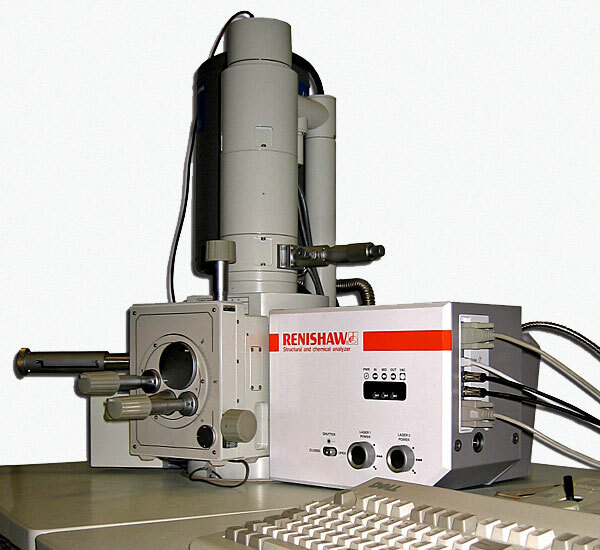 Renishaw inVia Raman spectrometer design can be combined with a Smith Detection IlluminatIR II FTIR module enabling the acquisition of IR (FTIR) and Raman spectra from the same spot on the sample. module enabling the acquisition of IR (FTIR) and Raman spectra from the same spot on the sample. The IlluminatIR may be easily mounted beneath the eyepieces of the research grade, infinity corrected, Leica DM2500M microscope of Renishaw's inVia Raman instrument. This enables users to retain the full use of the range of optical techniques available with the Leica DM2500M. 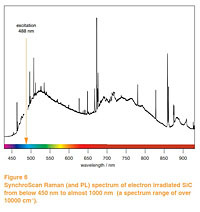 acquisition view and Raman acquisition view allows IR and Raman spectra to be acquired sequentially from the same spot on the sample. Warsash Scientific offer a range of lasers from different suppliers. 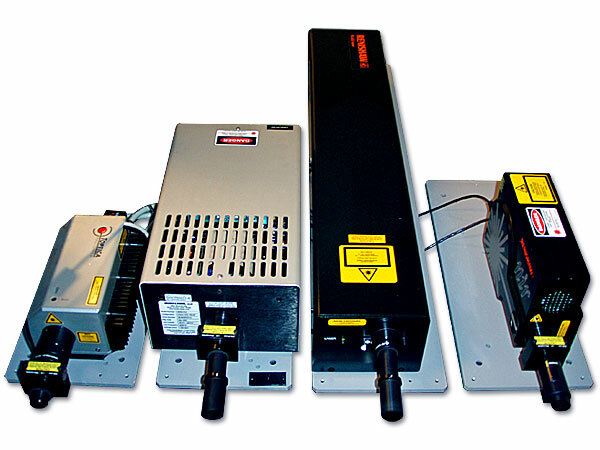 Warsash Scientific offers a range of air-cooled laser excitation sources with narrow line widths ideal for Raman and Photoluminescence (PL) spectroscopy. These include Ar+ lasers from Modu-Laser, Diode pumped solid state lasers from Cobolt, 325nm and 442nm HeCd lasers from Kimmon Koha Co., Ltd., and 633nm HeNe and high power 785nm & 830nm diode lasers for spectroscopy from Renishaw. 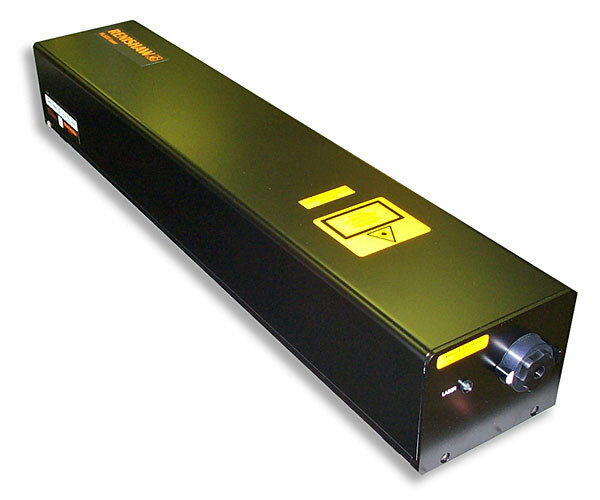 Ideal for Raman spectroscopy and photoluminescence studies. 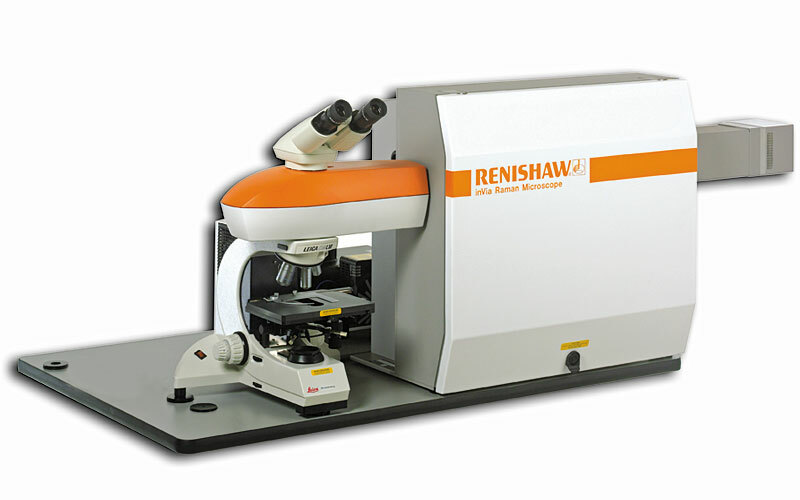 Renishaw's compact near-infrared lasers are ideal for Raman and photoluminescence spectroscopy, especially for the analysis of samples such as paints and pigments, which strongly fluoresce at visible wavelengths. This 633nm HeNe laser is air cooled.